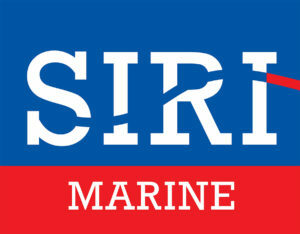 Detail page about the company: Bibby Marine Services Ltd.
SOV with W2W. More access. More efficiency. More comfort. More safety. Bibby WaveMaster 1, a vessel designed specifically for operations & maintenance and construction support activities of wind farms. Bibby Marine Services has completed the building of Bibby WaveMaster 1, the first in a new generation of service operations vessels serving the needs of offshore windfarm operators. The vessels first project was to support the commissioning of Galloper Wind Farm, before starting a long term contract with Total NL. Bibby were delighted to be working with Damen, one of the great names in shipping. Damen and Bibby are a similar size, both have a strong marine heritage and, almost uniquely are both family owned. Both companies focus on innovation and have similar corporate values. A collaborative approach was adopted in the design process. Bibby added our input about what we felt the customers’ requirements were and Damen modified the vessel to suit our suggestions, particularly the internal layout, work flows and the need for a ‘step less’ approach. Additional customer feedback was then incorporated in the final design. • Comfort Class 2 accommodation. Bibby WaveMaster 1 is much more than a vessel it is a ‘total access and accommodation’ solution. The development of this vessel started from scratch as opposed to being an evolution of an existing design. Great care has been taken over the design period to incorporate customer needs to ensure suitability to the tasks for which it has been designed.